a deposition, and he does the same for them. Daniel Glasser, another solo practitioner, has no regular staff at all but relies on his cellphone to keep him always available to clients and colleagues. His practice, in Clifton Park, focuses on residential real estate and representing people with traffic violations. Both lawyers cite the flexibility and independence of being their own boss as the main advantages of a solo practice. “I’ve always wanted to work for myself,” said Glasser, who has been on his own since September 2008, and enjoys the flexibility that allows him spend time with family and attend his children’s games and practices. Lee, who has been on his own for almost 30 years, agrees. “There is no substitute for being your own boss,” he said. It takes careful scheduling, self-discipline and self-motivation, according to Lee, but it suits his personality. “I’ve always been an individual player,” he reflects, even in school, when he preferred individual sports like squash and running to team sports. Although he has had partners and associates over the years, he prefers to be on his own. Glasser also notes the modern technology that allows him to receive business calls, faxes, e-mail and text messages on his cellphone, a virtual office in his pocket. Glasser further simplifies matters by avoiding the need for complicated billing -and bookkeeping. He retains an accountant for taxes and some bookkeeping but “a lot of what I do is fl at fee based” and, in the case of a residential real estate transaction, his fee is just another of the closing costs. Lee, on the other hand, has a staff of three: Lavonne Woodworth, his practice administrator who does a lot of the “hands-on” interactions with clients; Jennifer Blaauboer, the paralegal who takes care of the extensive paperwork involved in litigation; and Lynn Haberland, his scheduler. The three of them back each other up and each can do the others’ jobs when necessary. When Lee is in courts or at a deposition, the office can hum along without him. Networking and referrals are the lifeblood of a solo practice–indeed of any law practice. Many of Glasser’s clients are referred to him by realtors. Lee does some advertising but estimates that 80 percent of his clients are referrals, many of them from other attorneys. He networks with allied professional and other attorneys because “there is no substitute for getting out and meeting new people.” He also credits Saratoga Springs’ “extraordinary chamber of commerce” for helping him keep in touch. “The legal profession is still an area where someone can succeed as a solo practitioner,” according to Lee, “I think anybody can do this.” Glasser’s office is in Clifton Park. His telephone number is 299-4663. 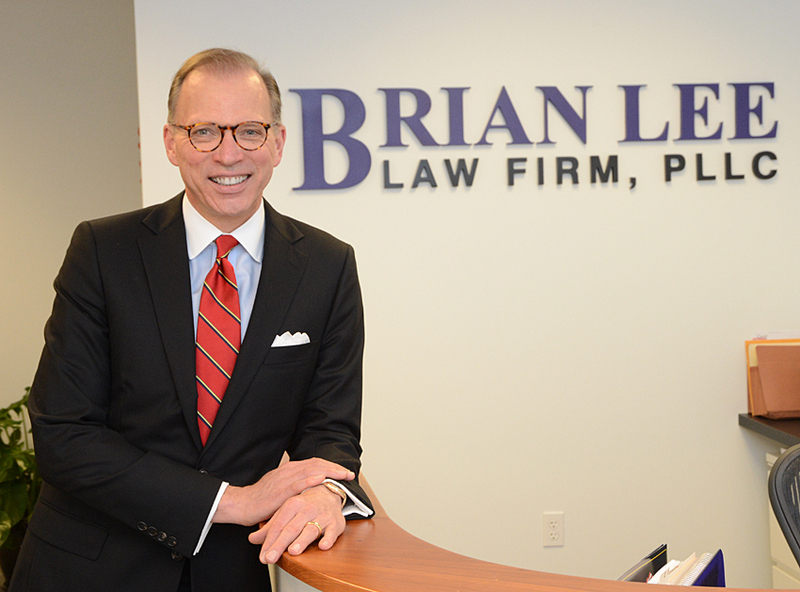 The Brian Lee Law Firm is at 18 Division St., Saratoga Springs. His telephone number s 587-1380.